The Ministry of Energy of the Republic of Kazakhstan held the enlarged meeting of the collegium, which summed up the country's energy industry in 2017. 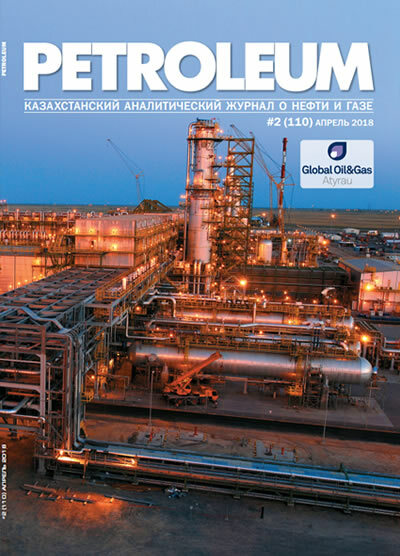 Petroleum publishes the summary of the Minister Kanat Bozumbayev’s report. In 2017, 86.2 million tons of oil were produced in Kazakhstan, while the increase to the level of 2016 amounted to 10.5% (78 mln tons is the the previous year indicator). The greatest volume of production was achieved in Atyrau and Mangystau regions. In 2018, production plan for the country as a whole is 87 million tons. Most of the growth in 2017 is associated with stable growth at the Kashagan field (8.2 mln tons) as well as growth at the Tengiz (28.7 mln tons), and the Karachaganak (12.5 mln tons). 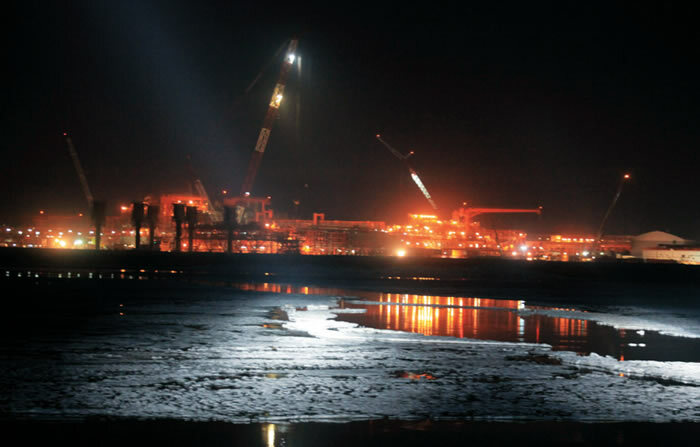 In 2018, the main growth is expected by virtue of the Kashagan, where it is planned to produce 11 mln tons of oil. While production is expected to decrease at the fields of Kyzylorda and Aktobe groups, due to late stage of development and natural depletion of these fields. Oil exports in 2017 amounted to 69.8 mln tons, rising by 12.4% in comparison to 2016. The average price of Brent oil in 2016 was 45, in 2017 -about 54 US dollars per barrel. The prediction for 2018 is about 55-60 dollars per barrel. On November 30, 2017, at the OPEC+ meeting participants agreed to extend the restriction on oil production until the end of 2018. One of the key events of 2017 was the completion of Expansion Project of the Caspian Pipeline Consortium pipeline system to the capacity of 52 million tons of oil in Kazakhstan's sector. In 2017, 49.6 million tons of oil were transported via CPC pipeline. In general, the technical capabilities of the country today allow to export 100 mln tons of crude oil per year. Oil refining volume amounted to 14.9 mln tons of oil, showing growth at 2.9 percent compared to 2016. The key event of 2017, was the completion of projects of reconstruction and modernization of two refineries (Pavlodar and Atyrau). In 2018, it is planned to complete the modernization of the Shymkent oil refinery. will be able to export petroleum products. The provision of the internal market with a domestic fuel and lubricant materials throughout the year: gasoline up to 90% (2017 – 73.8%), diesel fuel – 90% (in 2017 – 86%), aviation fuel – 70% (2017 - 50%), fuel oil – 100% (2017 – 100%). The international rating agency Global Petroleum Prices composes a ranking of countries with the lowest prices on petroleum products every month. Prices for high-octane gasoline 95 RON and diesel fuel are used for analysis. The data from 167 countries is used in the ranking . The Agency's data is used by the International Monetary Fund, as well as in the reports of the leading analytical agencies, such as Barclays, McKinsey, Bloomberg. Kazakhstan takes the 15th place in ranking dated February 19, 2018, among countries with the cheapest gasoline ($0,56/litre). The average price of gasoline in the world is $1.15/litre. The country with the lowest price for gasoline (1st place) is Venezuela ($0.01/litre). The country with the most expensive gasoline (167th place) is Iceland ($2,10/litre). Kazakhstan occupies 14th place ($0.50/litre) when it comes to diesel fuel. The average price of diesel fuel in the world is $1,04/liter. The country with the lowest price for diesel fuel (1st place) is also Venezuela ($0,009/liter), and with the most expensive (167th place) is Iceland ($2,02/litre). If to compare with the CIS countries, cheaper than in Kazakhstan, gasoline is only in Turkmenistan ($0,43/litre) and diesel fuel in Azerbaijan ($0.35/litre) and Turkmenistan ($0,38$/litre). On the instructions from the Head of State, the question of construction of 4th oil refinery is discussed. The analysis shows that taking into account the projected growth of consumption, the gasoline shortage will be formed between the years 2021-23, diesel fuel shortage by 2023 and aviation fuel after 2026. Pre-feasibility study of the fourth refinery will be designed by the national company KazMunayGas before the 2nd half of 2018 under the leadership of the Ministry. In the 2nd half of the year decisions will be made on the potential construction, location and capacity of the refinery.